There are primarily two types of dog allergies: food allergies and environmental allergies. If your dog gets itchy during spring, summer or autumn, he's probably reacting to seasonal, environmental allergens. But if symptoms continue all year round, then it is more likely that his sensitivity has something to do with either his environment or his diet. Unfortunately just like people, dogs can show allergic symptoms when their immune systems begin to recognise certain everyday substances - or allergens - as dangerous. Even though these allergens are common and harmless to most animals, a dog with allergies will have an extreme reaction to them. Allergens can be problematic when inhaled, ingested or come in contact with a dog’s skin. These allergens normally include mould and mildew, pollen, and dust mites. As his body tries to rid itself of these substances, a variety of skin, digestive and respiratory symptoms may appear. The good thing is that there are now several ways to treat seasonal allergies in dogs. What are the general symptoms of Allergies in dogs? 1. To provide your dog with complete and immediate relief from itchiness, try to bath him regularly to wash away the allergens on his coat and skin. Select a dog shampoo specially formulated for inflamed or sensitive skin. 2. To lessen the significant amount of allergens that your dogs spread all over your house, wash their paws thoroughly each time they come inside the house. 3. Try keeping the spots in your place where your pooch spends most of his time as free from allergens as possible. You can do this by cleaning and vacuuming the floors and his bedding on a regular basis using non-toxic cleaning agents. 4. Since allergies are basically an immune system response, it is crucial to keep your dog’s immune function at its optimum levels and ensure he’s eating a well-balanced diet, free of unnecessary fillers and animal by-products. 5. If your dog is highly susceptible to seasonal allergies, see to it that his diet is remarkably low in grain content, since foods rich in carbohydrates can trigger and worsen inflammation. The same ways that you cope with seasonal allergies will only help your dog as well. Make sure your air conditioner filters are changed every month, use a vacuum with an allergen filter, and maintain a healthy diet. For mild allergic reactions and mild itching, your vet can recommend an antihistamine or provide the proper dosage of over-the-counter allergy medication to treat him. Which Dogs are at risk of getting Allergies? Any dog can develop allergies at any point during his lifespan. 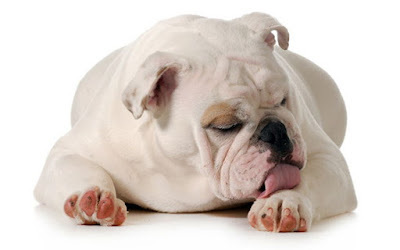 However allergic reactions seem to be especially common in Terriers, Setters, Retrievers, and flat-faced breeds such as Pugs, Bulldogs and Boston Terriers. What Substances Can Dogs Be Allergic To? Can dogs be allergic to food? Yes, but it often takes some detective work to find out what substance is causing the allergic reaction. 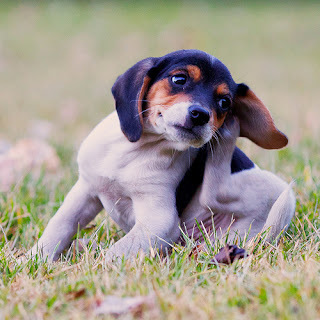 Dogs with a food allergy will commonly have itchy skin, chronic ear infections or sometimes gastrointestinal problems like diarrhea and vomiting, and an elimination diet will most probably be used to determine what food he is allergic to. If your dog is specifically allergic to chicken, for example, you should avoid feeding him any products containing chicken protein or fat. What should I do if I think my dog has allergies? Visit your veterinarian. After taking a complete history and conducting a physical examination, he or she may be able to determine the source of your dog’s allergic reaction. If not, your vet will most probably recommend skin or blood tests, or a special elimination diet, to find out what's causing the allergic reaction. How are dog allergies diagnosed? 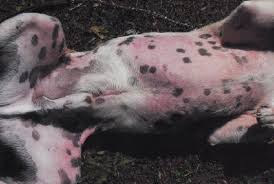 If your dog’s itchy, red or irritated skin persists beyond initial treatment by a veterinarian, allergy testing, most often performed by a veterinary dermatologist, is likely warranted. The diagnostic test of choice is an intradermal skin test similar to the one performed on humans. The only way to diagnose a food allergy is to feed your dog a prescription or hydrolyzed protein diet exclusively for 12 weeks. It is essential not to feed your dog anything but the diet. This means no treats, table leftovers or flavoured medication. This diet will be free of potential allergy-causing ingredients and will ideally have ingredients your dog has never been exposed to. He’ll remain on the diet until his symptoms go away, at which time you can begin to reintroduce old foods to see which ones might be causing the allergic reaction. This omnivorous diet is believed by many to be healthier for your dog, but it may require an unusual meat source to be successful for your dog, who may be allergic to beef or poultry since both are commonly used in commercial pet foods. How can Dog Allergies be treated? 1) The best way to treat allergies is to remove the offending allergens from the environment. 2) Start a flea control programme for all pets before the season starts. Remember, outdoor pets can carry fleas inside to indoor pets. See your veterinarian for advice about the best flea control products for your dog and the environment. 3) If dust is the problem, clean your dog's bedding once a week and vacuum at least twice weekly- this includes rugs, curtains and any other materials that gather dust. Check our recent post on "10 Spring Cleaning Tips for Dog Owners" for additional suggestions. 4) Weekly bathing may help relieve itching and remove environmental allergens and pollens from your dog’s skin. Discuss with your vet what prescription shampoos are best, as frequent bathing with the wrong product could dry out their skin. 5) If you suspect your dog has a food allergy, she’ll need to be put on an exclusive prescription or hydrolyzed protein diet. Once the allergy is determined, your vet will recommend specific foods or a home-cooked diet. Are there any Allergy Medications for dogs? 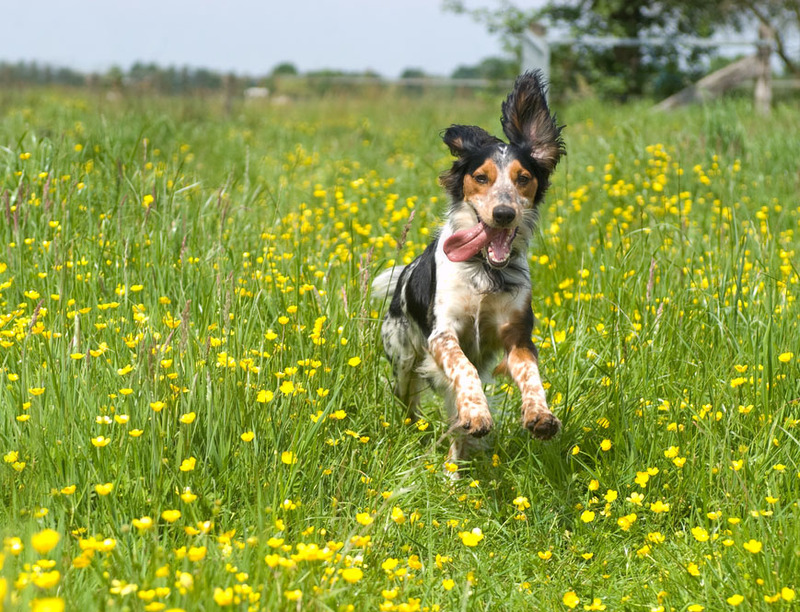 In the case of airborne allergens, your dog may benefit from allergy injections. These will help your pet develop resistance to the offending agent, instead of just masking the itch. Antihistamines can be used but may only benefit a small percentage of dogs with allergies. Omega-3 Fatty Acids might help decrease inflammation throughout the body. Adding them into the diet of all pets - particularly pets struggling with seasonal environmental allergies – is very beneficial. The best sources of Omega 3s are krill oil, salmon oil, tuna oil, anchovy oil and other fish body oils. There are also shampoos that may help prevent skin infection, which occurs commonly in dogs with allergies. Sprays containing oatmeal or aloe are also available. There are several flea-prevention products that can be applied topically to your dog’s skin. If the problem is severe, you may have to resort to cortisone to control the allergy. However these drugs are strong and should only be used under the guidance of your vet. Are Allergies and Bronchitis related? Chronic exposure to inhaled irritants (including cigarette smoke) may be a cause of bronchitis in your dog. Bronchitis is characterised by a persistent cough due to inflammation of the airway and excessive mucus production. Treatment may include medication to open breathing passages, antibiotics and anti-inflammatory agents. Warning: please remember, your pets just like your children should not be exposed to cigarette smoke.